The Royal Wedding is getting closer! The Royal family have had quite their share of good news recently, with the news of the birth of Prince Louis of Cambridge and the Royal Engagement. There is certainly a buzz across the UK at the moment! 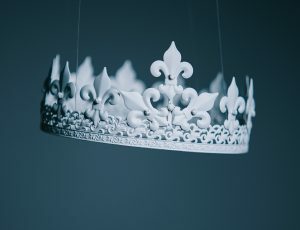 After the news of the Royal Wedding recently, we wrote a post on how to create a bedroom fit for a Princess. Now we are super excited to be able to create another post on how to make a bedroom fit for your little Prince. Our beds are available in a range of colours and styles to suit the needs of each personality, decor and age. For boys bedrooms, it may be a case of keeping it minimalistic or making it as exciting as possible to encourage your little one to to enjoy their bedroom and make bedtime a little less daunting. It goes with out saying that a bed is pretty essential for your boys bedroom! We have a range that suits every personality, from the avid adventurer, to the laid back dinosaur and train lovers. Our Tent Beds are ideal for creating a cool place for your little one to hang out. The extra height is a real novelty, whilst the space underneath leaves plenty of room to play and let imaginations run wild. Made from solid ash, this Tent Bed can be made in either blue or white to match any decor or theme. Adding netting to the space underneath the bed will make an exciting play den for your little one, or this space can be used for storage. If a Tent bed is a little too adventurous, another option in a boys bedroom could be one of our Captains Beds. This space saving bed is ideal for bedrooms where storage space is limited. The Captains Bed includes 4 drawers and 2 deep set cupboards, which certainly come in handy when looking for a place to store essentials. This bed is available in blue, white or natural wood meaning that any decor or theme can be matched. 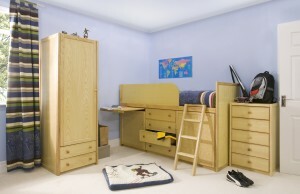 Do you have any tips or tricks for creating the perfect boys bedroom for your little one? Get in touch and share your ideas with us.